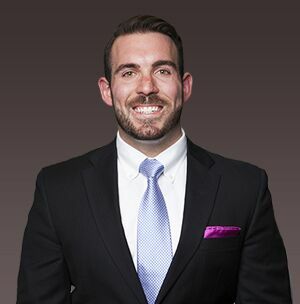 InfoWorks Business Consultant Matt Dolson was chosen by the Nashville Area Chamber of Commerce and YP Nashville as one of the five finalists to represent the Business Services industry classification in their 11th annual Nashville Emerging Leader Awards (NELAs) program. Matt was chosen as a young professional for his work and community contributions. Matt is a change and project management professional with a proven ability to deliver exceptional programs for high-performing teams. Matt is a graduate of Vanderbilt University with a Masters of Education in Leadership and Organizational Performance from Vanderbilt University and a Bachelor of Arts in Political Science, with a minor in Leadership Studies from the University of South Florida. He has worked as a business consultant for the past four years. The winners will be announced at the NELAs ceremony held on Thursday, August 3 at Lipscomb University. To learn more about NELAs or to register for the NELAs ceremony and/or reception, visit the NELAs website.